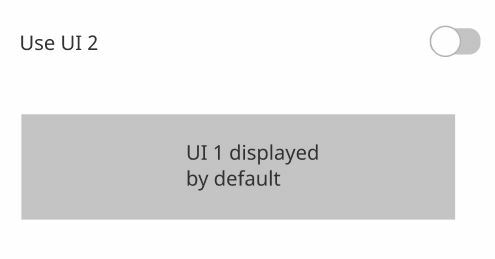 By default, UI1 is displayed, as it is preferred by most of the users. 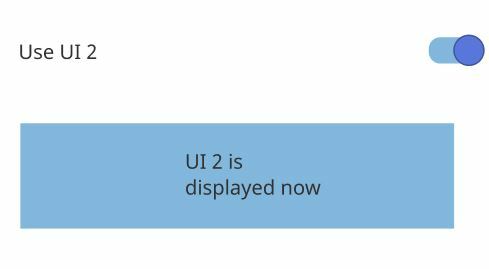 Well, since on toggle the UI is updating instantly, the interaction isn't confusing it seems. Do you think it's right approach? Please add thoughts/suggestions. The broader question must be "what is the difference between the two interfaces?" 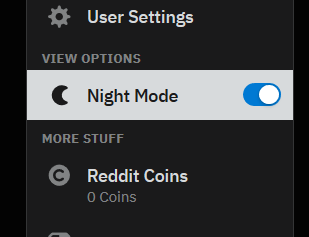 If it is simply to provide a switch between dark and light themes, then there's little to tell the user, as long as nothing prevents them in reverting the change or makes it more difficult. 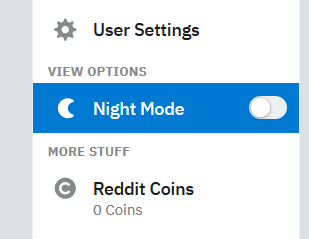 If the UI change fundamentally changes the interface, more thought should be given to the change. For example, perhaps popping up a preview of what the new interface will look like and how the user can revert the change. The tl:dr is, the method to change the interface should be as simple or as complicated as the change that it will impose. Assuming that the UI change is not just a simple BG color change, the switch element is not really appropriate to change between two equal levels of hiearchy. Segmented controls are often used to display different views. In Maps, for example, a segmented control lets you switch between Map, Transit, and Satellite views. Not the answer you're looking for? Browse other questions tagged usability interaction-design mobile-application toggle interactive-ui or ask your own question.